Quick Summary: This lesson incorporates clips from Blue The Film as learning inspiration. Students explore how the creation of marine parks can protect our oceans and enhance the liveability of our planet. Through the lens of the various needs of different groups of people, students will consider the multi-use demands upon the marine parks for research, species protection, leisure, tourist income and commercial fishing, and how park management can conserve this delicate ecosystem for the generations that follow. Students understand the competing pressures in ways people live with the ocean and the importance of managing resources and caring for the environment. General capabilities: Critical and Creative Thinking, Ethical Understanding, Personal and Social Capability. Relevant parts of Year 7 Geography achievement standards: Students explain interconnections between people and places and environments and describe how these interconnections change places and environments. Students describe alternative strategies to a geographical challenge referring to environmental, economic and social factors. Unit of work: Blue The Film – Geography – Year 7. Level of teacher scaffolding: Medium – lead students in discussion and class activities, oversee group work. Resources required: Student Worksheet – one copy per student. Device capable of presenting a website to the class. Marine Sanctuaries Factsheet (one per student). Zones For Marine Parks Factsheet (one per group). Ocean Activity Images (one copy for the class). Keywords: Blue The Film, ocean conservation, commercial fishing, liveability, unsustainable, place, time, factory boats, global fishing demand, livelihood, catch sizes, economic migration, pole fishing, netting, consumer choice. Learning intentions: Students will understand the competing pressures in ways people live with the ocean and the importance of managing resources and caring for the environment. Understand how marine parks support ocean conservation. Recognise the challenge of multi-use demands on the ocean. Consider opinions on marine park zoning. But the seas are under threat. The industrialisation that has occurred in the oceans over the last century, mirrors the events that triggered mass extinctions on land. Industrial scale fishing, habitat destruction, species loss and pollution have placed the ocean in peril. The very nature of the sea is being irretrievably altered. 1. What the video on Marine Sanctuaries and complete the thinking routine below. 2. 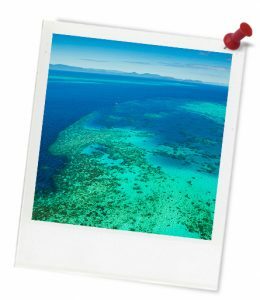 Read the information about marine parks in Australia. 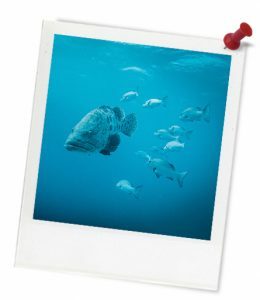 What is the current marine reserve system in Australia like? Around the world, marine protected areas cover less than 5% of the ocean, while fully protected marine reserves cover less than 1%. However, in Australia a network of Marine Protected Areas is proposed, that will cover about one third of Australian waters. This would be the world’s largest network of Marine Protected Areas. What does it tell you about the commitment Australia has made to protect our Oceans?